That cable was released by WikiLeaks in May, 2011, and, as McClatchy put it at the time, “provides evidence that U.S. troops executed at least 10 Iraqi civilians, including a woman in her 70s and a 5-month-old infant, then called in an airstrike to destroy the evidence, during a controversial 2006 incident in the central Iraqi town of Ishaqi.” The U.S. then lied and claimed the civilians were killed by the airstrike. 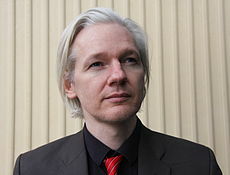 Although this incident had been previously documented by the U.N. special rapporteur on extrajudicial, summary or arbitrary executions, the high-profile release of the cable by WikiLeaks generated substantial attention (and disgust) in Iraq, which made it politically unpalatable for the Iraqi government to grant the legal immunity the Obama adminstration was seeking. Indeed, it was widely reported at the time the cable was released that it made it much more difficult for Iraq to allow U.S. troops to remain beyond the deadline under any conditions. This is why, as I explained in an earlier post, leftists are opposed to government secrecy. When people know what governments are actually trying to do, they will tend to oppose those actions. Game over in Iraq. Unfortunately, the imperialist beast is still far from dead. This entry was posted on October 25, 2011 at 8:24 am and is filed under Imperialism, Iraq, Middle East, WikiLeaks. You can follow any responses to this entry through the RSS 2.0 feed. You can leave a response, or trackback from your own site.